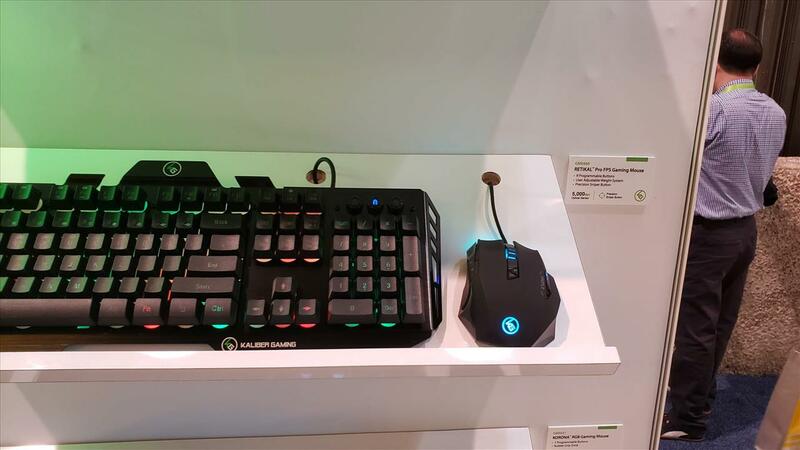 IOGEAR's really pushing their gaming line with the Kaliber Gaming lineup and I stopped by their booth to take a look at what they had. 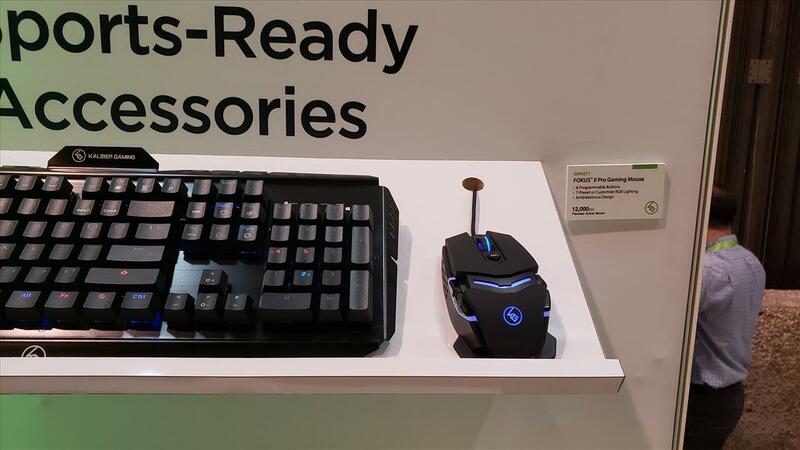 They aren't going to overlap these products with their other keyboard and mice line so you're going to get some unique peripherals in the gaming sector of IOGEAR. 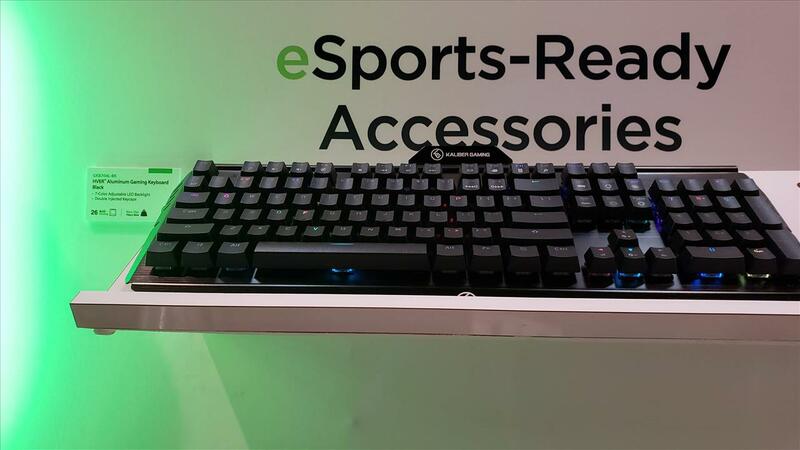 Want to use a keyboard and mouse with your console? The Keymander is here to the rescue. Priced at $99, the Keymander will let you do that and save up to 8 gaming profiles for you to switch between. Say you want a control scheme for when you're on foot versus in a vehicle. The Keymander will allow for that on your console. 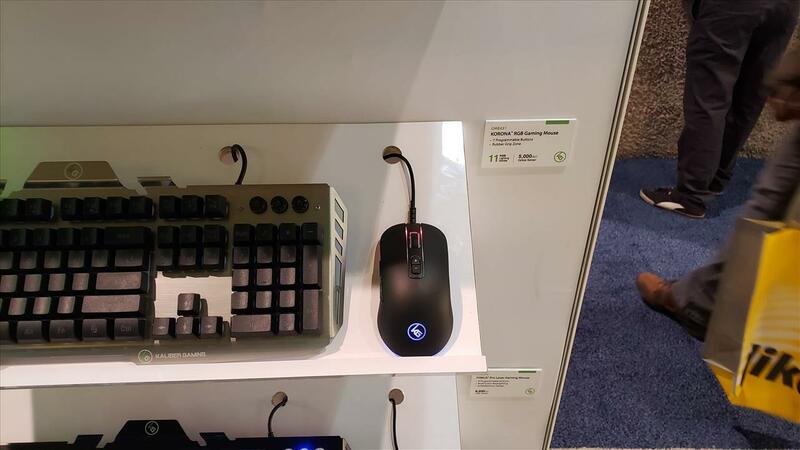 You can pick one up solo or bundled with a keyboard and mouse, which makes it convenient for those wanting an all in one package. 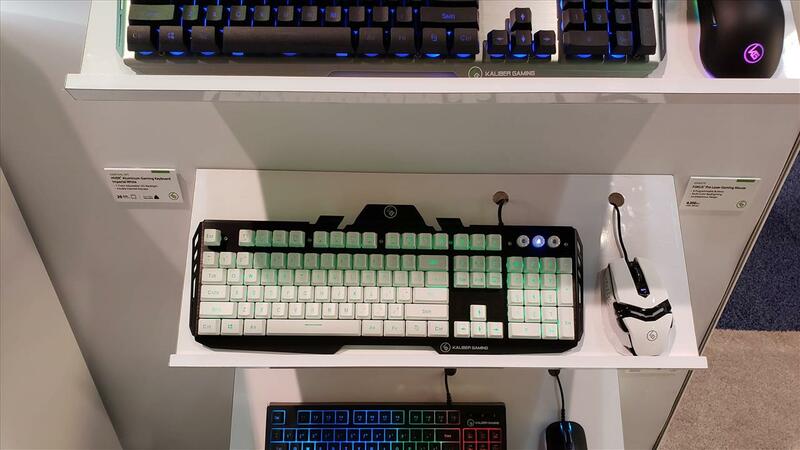 IOGEAR's keyboard lineup ranges from having individually lit Red or Brown switches to keyboards with zone lighting to those with just a set of lights that you can switch to. All of them use an aluminum base so it's built to be durable and double injected keys for long lasting durability as well. 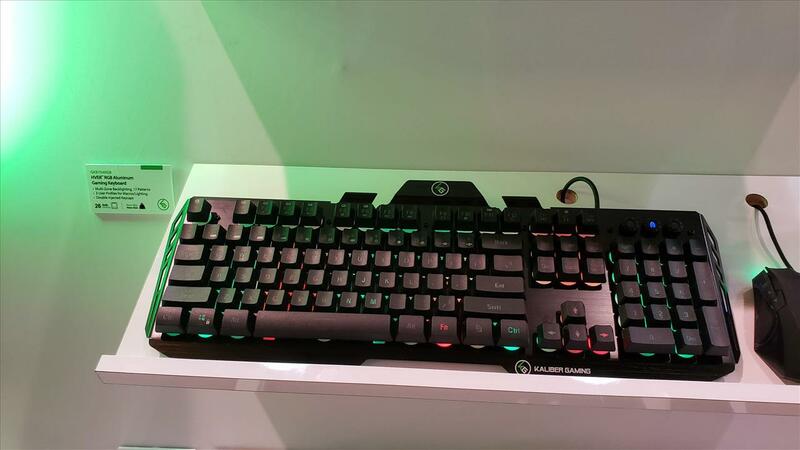 The top of the line HVER PRO RGB features individually lit keys and sells for $80, which isn't a bad price at all. THe HVER RGB Aluminum at $50 has zone lighting so if you don't want to have individually lit keys, you can save a little money by going the zone route and still get some solid lighting options. 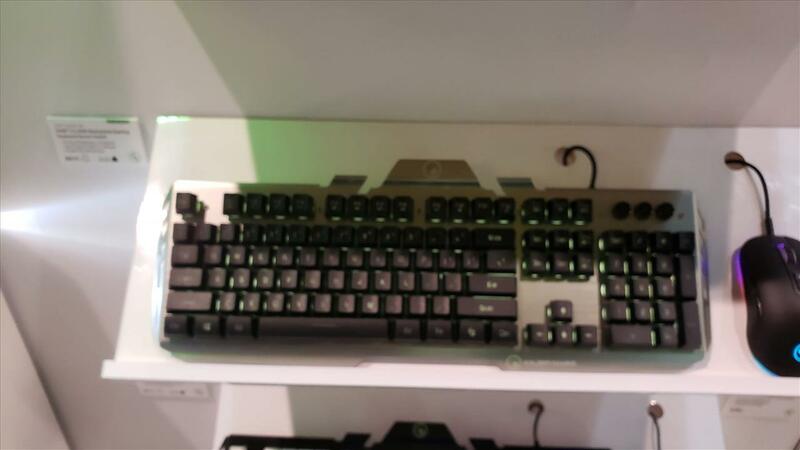 The 10 keyless Korona Kore combo is for those who want to save some space on their desk and the keyboard has multi-zone backlighting. IOGEAR's top of the line gaming mice is an ambidextrous design with RGB coloring. Featuring a 12,000 DPI sensor and an aluminum base, the Fokus II Pro is a pretty affordable high end gaming mouse for $50. 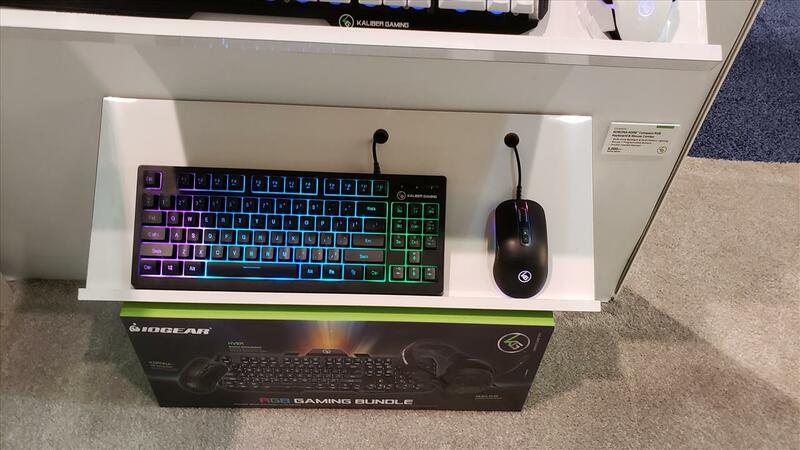 All told, IOGEAR looks like they have a nice solid, affordable lineup for gamers and another choice for those wanting to update their setup with new mice and/or keyboard.